Madhu Vajpayee is a medical doctor who has done her MBBS from King George’s Medical University, Lucknow and MD from AIIMS, New Delhi. 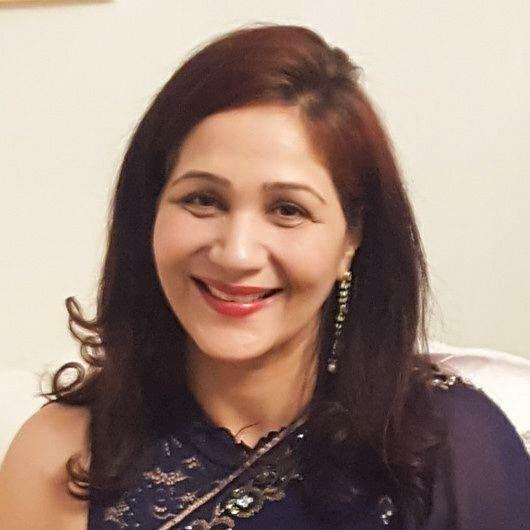 However, after professional stints in various institutions of repute in India, she has moved to Australia where she is enjoying her life in the Melbourne suburbs, relaxing in the lush greenery that it offers and pursuing her passion of writing with sincerity and determination. A person who says that the writer in her was born somewhere in the hospital corridors where she has spent the last two decades of her life, she came out with her first book “Seeking Redemption” in 2013. Her second book “I owed you one” has been published in 2018. In a candid conversation with Chirdeep Malhotra, she discusses all things literary- her writing journey, her favourite books, how she develops her book’s storyline, and how she handles and overcomes writer’s block. Being a medical professional and after writing scientific papers in research journals and chapters in numerous books, you have forayed into writing fiction. Can you tell us more about your writing journey? I feel blessed to be able to pursue two careers in my life. If being a doctor was a professional satisfaction, being a published author is a dream come true. I don’t know exactly when but over the years, writing; slowly became my best friend. From early childhood, the wonderful habit of reading that was inculcated by my father gradually turned into writing expeditions. What I couldn’t say in words or express myself in its wholeness would find its way to paper and thus began my journey as a writer from an early age. My romance with words not only transcended me to the amazing world of ideas and make believe stories but would also assuage my pain and anxiety. It gave wings to my thoughts which soared to unimaginable heights and along with them, it would also soar my spirits. Being in the medical profession and having a soul of a writer, it was not always possible for me to remain untouched by the happenings that affected the lives of my patients. Somehow I used to get affected by ups and downs of their lives. I worked with patients living with HIV/AIDS and it was indeed a great learning experience. I learnt from them not to give up in life and to flow with the current of life. And the same spirit always reflects in my writings. 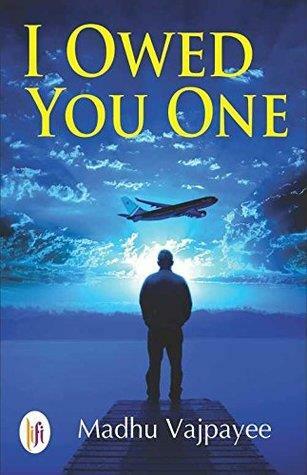 Can you give a brief overview of your book “I owed you one”? The book is about the main character Dev Khanna who has a perfect life with his loving wife Radhika and son Neel in Melbourne, Australia. But there is something from his past that keeps gnawing him, an open wound that is a reminder of a debt. His present is very flourishing and future promising but what happens when the past comes knocking? As the skeletons begin to tumble one after the other from the cupboard, it is now threatening his present. The book is about Dev’s journey that spans across the tall skylines of Melbourne to the royal Dilwalo ki Dilli to the dingy streets of Moradabad as he battles love, religion, politics and fear; questioning his own beliefs at every step. The book in its narrative seems to answer these questions- Will he be able to make peace with his past and save his future? Will humanity lose this battle against everything else? Is the book inspired by real-life events or persons? Are there any instances in the book which have been derived from your own life? The book is not inspired by any one real life event or person. I reckon that this book is an amalgamation of experiences, of one’s own as well as of others, that a writer has moulded into a story with the plot being its body and characters the soul. Here, I would like to quote Dorianne Laux, “Writing works from a simple premise: your experience is not yours alone, but in some sense a metaphor for everyone’s”. This book is a fiction centred on family life and human emotions. What do you think is the recipe to a perfect fictional family saga? I think family has a very deep meaning. Somewhere as a family, we are related to each other not only through coincidence of our birth but also have strong karmic connections. In this scenario, there is bound to have a lot of emotional bonding as well as intense conflicts; the two factors that can be the recipe to a perfect fictional family saga. Writers generally choose protagonists of their books of the same gender as them. But you have penned this book with a male title character. Did this entail some research in writing this book? Do you think this brings more fluidity, deeper insights and more enlightened perspectives for the reader? I feel writing a book in the first person is very empowering, as a writer; you can become the character you are writing. I didn’t have to do any research. Being in the medical profession helps me in understanding the male psyche. As a doctor, I had to carry out a lot of conversations with my patients or their male relatives. My idea to choose the main protagonist’s gender (male) different from myself (female) was to bring more sensitivity, thoughtfulness, and as you have mentioned more fluidity and deeper insights for the readers. The starting page of the book features a couplet by Rumi. Poetry is indeed music of the soul. What influence poetry, especially Rumi’s verses, has had on you? What do you think about the poetry scene in modern times? I just follow Rumi for my spiritual quest. I am not much into poetry but Sufi music indeed enriches the soul. What are your favourite books? Can you tell us more about the genres that you like and your favourite authors? My favourite books are Anna Karenina by Leo Tolstoy, The Kite Runner by Khaled Hosseini, The Fountainhead by Ayn Rand, Exodus by Leon Uris, The fault in our stars by John Green, In The Country of Men by Hisham Matar to name a few. These include reading and travelling. Yes, I am currently working on my next book which is a love story. I do experience writer’s block sometimes but I try not to make it an issue because the moment I start considering it as a problem, it magnifies itself further. I just let go of my writing work for a while and shift my attention to other things. And suddenly and soon enough, out of nowhere, the sky becomes clear and I find the lost connections of the story. What advice would you give for budding authors, especially those who want to write fiction? Write because you want to, the rest are details. You have no idea what’s going to click with publishers. It’s a completely uncharted territory where nothing is defined. You just need to keep going with passion and determination in your heart without thinking of any consequences. To survive, you have to let go of failure, learn from it and move forward with enhanced determination. In the end, it’s all about the passion. You do it because you love it irrespective of success or failure.